Worked as it should! Easy to follow instructions! Bike now stops in a dime!! The Avid Brake Bleed Kit allows shade tree mechanic to keep all members of the Family rolling. 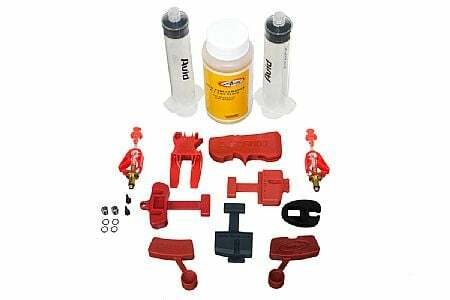 The ease of hydraulic brake bleeding at home was made entirely possible with the purchase of this kit.